This is a starting for a new journey. There has always been a limitation of size while I am drawing print patterns for garments. From 2012, I started to explore the emotional expression of drawing as meditation practice. I find it very comforting when I am gazing over the ocean or contemplating my focus onto the canvas while I am painting. 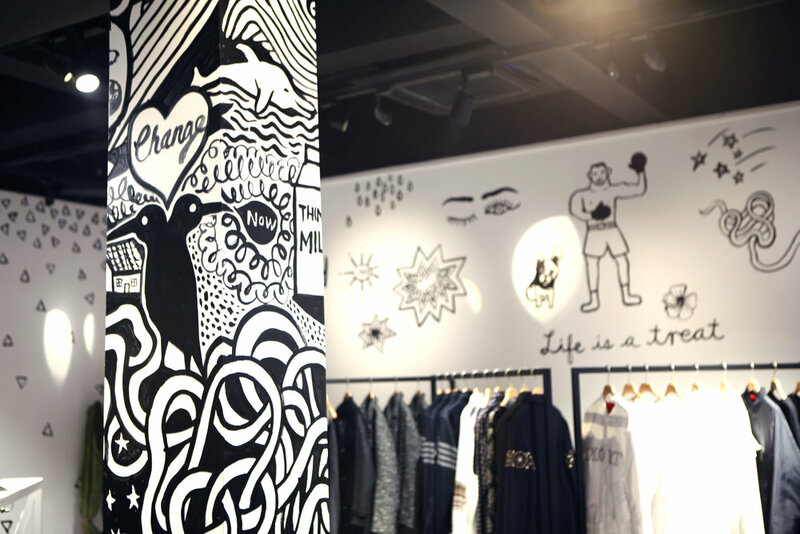 By a warm invitation from Zeitgeist, one of the best concept store in Shanghai, I created a series wall paintings. And from here I fall in love with large scale paintings, especially the painting of the meditational seascape. I called it - THE SEA & I.
I love the feeling of freedom when I am rolling my arm painting my ocean loops. I pray on peace and acceptance while I am drawing each loop. I wish audiences will sink themselves into this ocean and bring home with a peaceful mind and heart. So this journey continued. 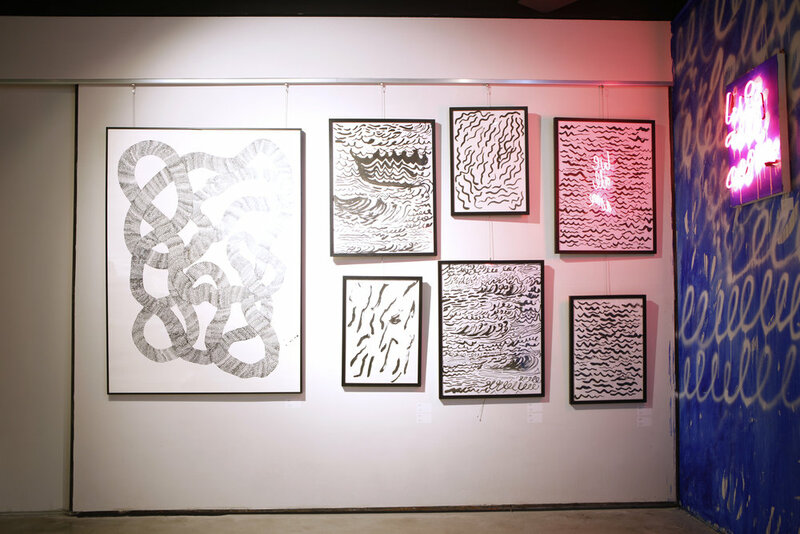 I got invited to paint again for a even bigger wall in a group exhibition AS-IT-IS, Shanghai, 2016. This time the wall is 5m x 10m in size! So to make this journey moving forward, there are more locations already lined up. So I will be painting soon again. And to make it more exciting, if you know anyone, anywhere would be happy to receive me to paint a even bigger ocean... Please put me in touch!